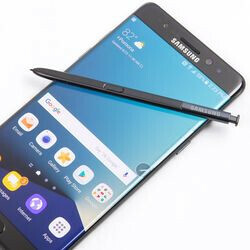 Among the many decisions to speed up the Galaxy Note 7 recall process, Samsung announced that it will roll out a software update for the potential faulty devices, which will limit the battery's maximum charge. According to Samsung Australia, the software update will do download and install automatically to all original Galaxy Note 7 smartphones that were purchased in this country. The update is meant to limit the smartphone battery to a maximum charge of 60%. 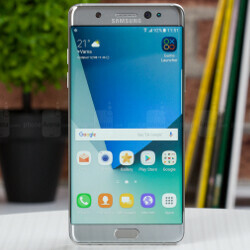 Aside from this update of the original Galaxy Note 7 devices, Samsung Australia announced that another software update will be pushed to replacement units. The update will introduce a green battery icon, which will allow users to easily identify the fact that the new phones do no have the reported battery issue and are safe to use. “The safety of our customers is our first priority. For this reason, we are working to identify and execute all appropriate measures to protect customer safety. 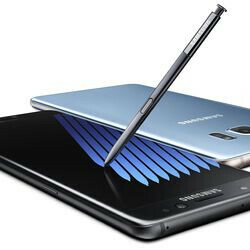 We continue to urge customers who still have an affected Galaxy Note7 to complete a data back-up and factory reset before powering-down the device and returning it to their place of purchase to seek a replacement Galaxy Note7 or alternate remedy of their choice,” said Richard Fink, Vice President IT & Mobile, Samsung Electronics Australia. In the meantime, these updates are not yet available in the United States, the country where Samsung had to recall around 1 million Galaxy Note 7 devices. 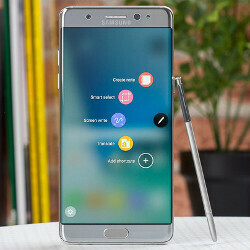 The South Korean company confirmed that Galaxy Note 7 replacement units will arrive in the US by no later than September 21. Unfortunately, many carriers are still oblivious of the recall process or tend to minimize it. Keep in mind that the new, safe Galaxy Note 7 units come with a small black square on the box, not an S stick, as initially announced. However, it's very possible that some of the replacements to come with both safe signs. %60 limit is a good move! Now waiting for the replacement units. I'm starting to think that probably IS one of the reason why Samsung is limiting to 60%. Hopefully he's been banned. I reported him a few times in the last couple of days. He is incredibly vulgar. Disgusting really. No need for anything like that on PA, or any comment section anywhere. 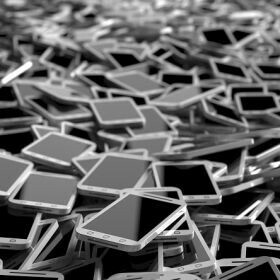 Phone Arena will be a much better place to chat about tech and their reader base will double over the years, if we can get this comment section to a place of semi decency. Countless people are turned off to PA everyday, because of a handful of hateful users. We gotta get rid of them. And we will. Why because you don't agree with techie. I am sure people don't agree with you so you should be band. If everyone agreed it would be a boring place. There's a difference between debate and outright misinformation. Techie is a proponent of misinformation, vulgar to downright offensive language, and sexist behavior. I can recall him on several occasions discriminating against women here, and that's just sad IMO. That's a fact. But the reason he's not here is because he lit up the comment section about what it cost to build iPhones. In a other article. 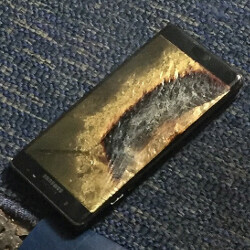 He refuses to return his Note 7's setting a very bad example for everyone. This is a mispost!! !1 Plz ignore kthx! Try using your brain or perhaps reading the article before venting your eternal hate for Samsung. This is just a safe guard until people replace their phones. Fun Fact: Note 7 with 60% is still bigger then iPhone 7 with 100% battery. He isn't selling for that. He'll get a brand new replacement Note 7 with full size battery within the week, and will continue to have the best phablet. F U ... got it ? I care, since me and few others who I know Samsung are refusing to replace our Note 7 units. Btw, samsung should forget the note7 and accept defeat already.. They should put their efforts on making the s8 a badass phone. It's the best there is, no defeat. Android is about freedom indeed, 1000 good things & one mistake? That doesn't mean the freedom has been snatched. What part of the article did you not under stand. Try reading it again. It's only tell the bad phones are all turned in. I have to wait Note 8 , because they will sell all the problematic units here in Brazil and in the others small markets. No black square, no S and no battery notifications !